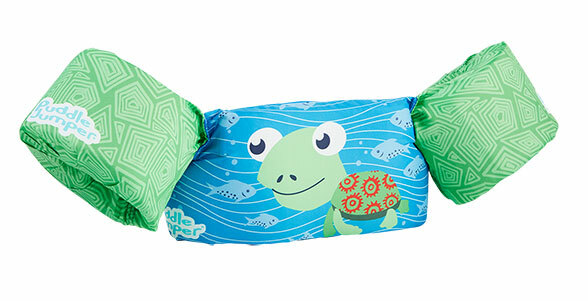 Comfortable and self-balancing, The Original Puddle Jumper™ Turtle is a revolutionary swimming aid that keeps your child’s head above water and allows freedom of movement to swim and play whilst offering safety and security. Underneath the Puddle Jumper’s™ fun design lies a solid construction made from durable and resilient materials. Quick and stress-free for parents, the child can be strapped in safely in seconds thanks to the single adjustable buckle at the rear - no more struggling with an unhappy child at the water’s edge.